Kitchens and bathrooms are the rooms that more easily become outdated during a home’s lifetime. Designer Gloria Graham of Kitchens for Living (www.kitchensforliving.net) took on a tough project of transforming an older style kitchen for a homeowner Florida. The need for change was obvious from the peeling cabinet paint to the lack of counter space and storage. Though in need some upgrades, the kitchen still had good bones and is located at the center of the house, making it the heart of the home. The most important factor was to keep the homeowner’s footprint, while incorporating strategic improvements that would go a long way. The homeowner also had some products on her wish list there were able to be incorporated. Gloria’s design inspiration stemmed from the desire to creatively utilize existing kitchen space. She chose to bring in a British Colonial feel by incorporating the “X” motif and rattan inserts in certain pieces the cabinetry. Due to limited natural light in the kitchen, it was best to steer clear of the more traditional deeper colors as the room would have become much too dark. In order to meet the homeowner’s need for more counter space and storage, the center island size had to be expanded. There is now counter space available in almost a full 360 degree area throughout the kitchen. Completing the package are a few small sneaky details that make this kitchen unique and fresh. These details include discreet cabinets that house the coffee maker and toaster oven as well as microwave drawer, keeping these appliances hidden when not in use. The updated cabinets have a maple stain and darker glaze on them and rattan panels were included in order to create a balanced flow with the other dining room furniture. The cabinets were designed by Gloria, herself, and custom built by Brendan Donovan Furniture & Cabinet Co. (www.Brendandonovancabinets.com). Appliances in this kitchen include Thermador (gas range top), Subzero, Wolf and Bosch. The homeowner’s favorite new feature was a durable white BLANCO SILGRANIT II Precis Super Single Sink. 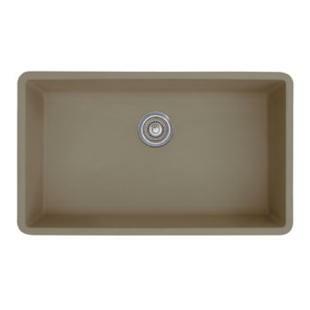 This classic style sink works nicely with the surrounding upgrades and its convenient size allowed for the surrounding space to be fully utilized. With Gloria’s help the homeowner was very pleased with the end result. Her love of her new BLANCO Sink and the kitchen as a whole is extremely evident. This is the perfect example of how to increase storage space and functionality of a kitchen, while also brightening up the space and giving it a traditional airy feel. Have a Happy Holidays from Plumbtile.com! Hotel bathrooms can easily impress or disappoint. Their details range from the basic toilet-sink-shower combination to spa-like amenities you might view at a tropical resort. Today’s society tends to live by the ‘bigger equals better’ motto and that applies to hotel bathrooms, as well. There are endless ways hotel bathroom design has transformed over time. Before thought of convenient ‘in and out’ spaces have become more personal. Many designers have decided to make the bathroom part of the bedroom by avoiding the separation between the two. Glass bathroom walls and shower enclosures create a sleek and open airy feel. Why not experience the feel of ultimate luxury while staying away from home? Many hotel rooms have moved in this upscale direction for that particular reason. Most homes do not have open bathrooms, so having that different setup when staying at a hotel makes your visit that much more out of the ordinary. Think of hotels you stayed at 10 years ago versus one you stayed at within the past year. Do you notice a difference? In past years bathrooms were designed to only take up about 15% of the hotel room. Today hotel bathrooms occupy at least 20% or more of the total guest room size. You will find more updated guest rooms that are not shy about highlighting the once private bathroom facilities. Sinks are now often plainly viewable for convenience and could even be part of the decorative scheme of the entire room. Showers with glass walls are becoming more popular and you may even notice the lack of a regular bath tub. It is still somewhat popular to conceal the toilet in many hotel room designs. Doing so creates a more private feel for a guest that might be staying in one room with another person. New automatic flushing toilets are all the rage in Japan. It is not often on the wish list in our society, however it is possible this could become a necessity in the near future. Go Green! Some hotels are concerned about reducing water usage and they try to do so by incorporating low-flow fixtures, such as shower heads. But something screams luxury to a guest when they are being blasted with a high volume of water in the shower. Therefore such environment friendly fixtures might not always be favored. 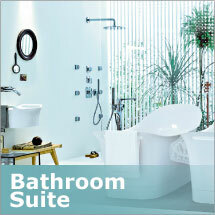 For information on making your own bathroom more like one in a luxurious hotel suite, visit Plumbtile. And make sure to also visit http://a.pgtb.me/4pnqmH to enter our Facebook contest! This year marks the 40th anniversary of the Clean Water Act, the nation’s law for protecting the most crucial resource we know. On October 18, 1972, the Clean Water Act was made a law and since has prevented many toxins from entering our waterways. Due to more overall consciousness, waterways are no longer desolate or barren. And there are now double the amount of places available that meet standards for swimming and fishing. Modern technology has paved the way for many new innovations to be introduced when it comes to utilizing, protecting and stretching our water supply. A large portion of our country’s waterways do not meet water quality standards. In fact, our Nation received a D- letter grade from the American Society of Civil Engineers, which is the lowest grade ever given to a public infrastructure. It is almost certain that we will never be done improving our water infrastructure. It is inevitable that water resources will be further strained as population grows over the next generation. Many people believe there are aquifers full of unlimited clean water in every location, but this just isn’t so. Pollution is also a threat to our water systems from ocean to ocean and every stream or lake in between. Global warming is being blamed for water shortage due to drought, drastic weather changes and changes within water’s chemistry. There are now more pollutants coming forth that we have not even known about and therefore haven’t fathomed testing for. Scientists must backtrack quite a bit to account for pollutants that have been overlooked. Every community, company, agency and individual can help this continual process to progress by simply being aware of the growing problem and choosing to be part of the solution by working together. Remember that each person is an integral part in protecting and conserving our water system so that generations of future communities will flourish. Let’s take care of our most precious resource- water. Plumbtile offers filtration-ready taps and faucets. Visit our online store and see the various products we offer. Monday Design Tip: Steal Their Design! Definitely you too can “steal” ideas, and you can steal them from everywhere. Originality is subjective and the abundance of inspiration, whether print or media, is there for you to enjoy and make us of. The end result may not be an actual copy unless you have the resources to copy an actual bathroom design straight out of a magazine pallete perfect and inch by inch, there will be slight variations whether you will like it or not. A simple change in the lighting, such as how sunlight enters the room through the window, will not make your design an exact copy of your inspiration. It is stealing, from designs that were meant to be stolen. The staff came across an article from This Old House about a couple who was inspired by their 1820s cottage. As DIY enthusiasts they pulled off a fantastic remodel worthy of stealing. Read below and steal their awesome bathroom design. This is not just a design tip, it’s a must that you steal their ideas. *Speaking of bathroom remodels, we are running a Facebook contest for all of you – click here. Tell all your friends and family about it. The rules are simple, if you remodeled your bathroom or kitchen recently take some photos and submit them on our contest page. The remodel photo with the most Likes… WINS! And the winner wil receive $1000 worth of bath and kitchen products from PlumbTile.com. Autumn is here! Be sure to get a lot of savings for that remodeling project that’s long overdue. And don’t forget to take photos! Why? Click here. Most of us home remodelers are lovers of old houses. There are some things old house lovers are accustomed with: windows that are drafty, plumbing that is far from perfect, floors that squeak and bathrooms that are small. In the past 30 years, baths from new houses have doubled in their size and they average to about 5 x 8 feet. No need to worry, you can prevent claustrophobia through scaling down- and save space in the process. With the right blend of colors and lighting, an illusion of a very roomy bath can be created. Inspired by Japanese kaidantansu (the stepped chest) combined with the utilization of dark and rich colors, made the walls recede in the bathroom’s small space. lighting gives off an illusion of a space that is larger than it really is. Clutter-free space is the way to go in this simple and small bath. Adding a large framed mirror that is hug horizontally creates an illusion of space. Placing of white marble tiles and a shower wall made of glass increased the footage of the bath. Patterns with accents are also useful.PORCELANOSA has a variety of tile accents you can choose from! Addition of focal points will make a room look bigger. Skylight that floods the bath with natural light is ideal for tiny spaces. High ceilings on bath provide a spacious feel. There are many ways to make a bathroom seem bigger! Call 1-866-369-8180… also ask about the contest. Being one of the frontrunners of quality and innovative design for modern cabinet hardware, Du Verre Hardware declared their sponsorship to an event managed by Modenus.com, the BlogTour London. This event is bringing together the most significant and inspiring group of bloggers of lifestyle and interior design from the United States and Canada to be part of the London Design Festival with events still happening right now until the end of September. The bloggers will convene with their British counterparts and be engaged to everything related to design in this festival. This occasion will provide an avenue for ideas to be exchanged among the enthusiasts of international design as well as cultural communities based in the UK and the United States and will focus on London’s significance and influence as a foremost center of design. Gina Lubin, a founding partner of Du Verre, stated that the event would enable them to be connected with the architects and designers who are the vanguards in the world of design. Through their partnership with award-winning designers and outstanding artists, Du Verre has certainly made a great difference in the area of novel and unique hardware design as well as the sustainable utilization of materials. Due to their advanced methods in manufacturing, every piece is made using recycled and eco-friendly aluminum that has been in sync with the objectives of LEED. The collections of Du Verre’s hardware are known for their innovativeness, exceptional design and stunning finishes and display elegance of global standards and timeless silhouette that will certainly be fitting for fine furniture and superior quality cabinets. The CEO of Modenus.com Veronika Miller affirmed that Blog Tour London was organized in answer to the digital clamor they received from bloggers who they had worked with. They wanted to make a venue that would gather bloggers into major trade shows and also will allow them enough space to discover the richness of design that are on display to be found in smaller venues in order for them to give their readers and social media followers a personal look into the festival in what can be called as the signature style of bloggers: Passionate, energetic and resplendent with personality. Furthermore, she said that it is their commitment to showcase the greatest design products and draw together bloggers to be with their peers to witness what is innovative and exciting in the world of interior design. If you want more information about Du Verre, please click here. 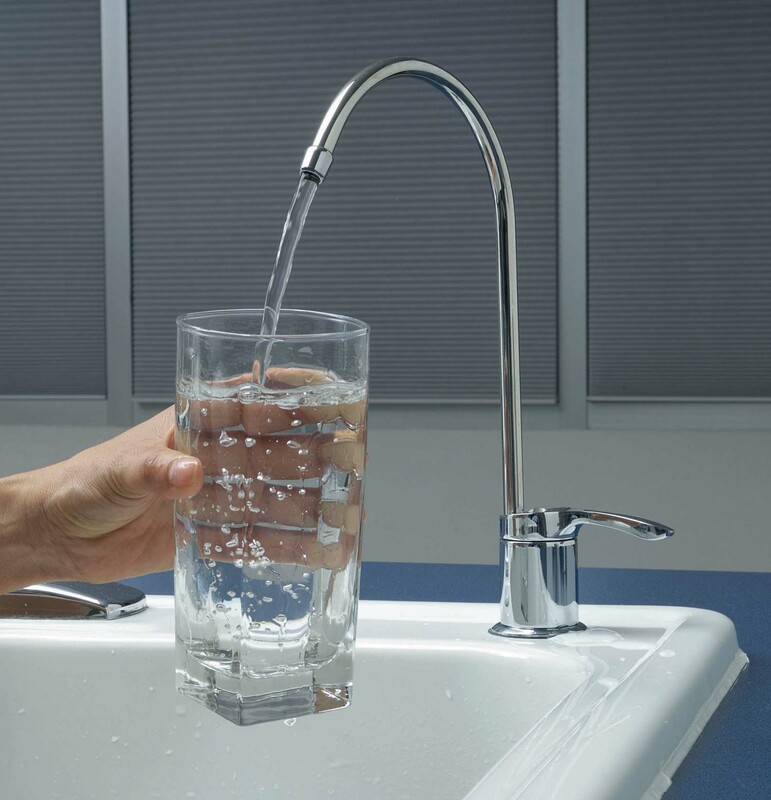 We recommend you call (866-369-8180) to speak with one of our Plumbtile consultants. A leading professional trade show organizer, EDI.CER Spa is behind the CERSAIE – International Exhibition of Ceramic Tile and Bathroom Furnishing. An annual exhibition that will be in Fiera Bologna in Italy and will start on the 25th of September 2012 and will end on the 29th, this event will showcase the most up-to-date products and services and will bring together the world’s leading authorities and companies in the tile and bathroom sector and will offer an excellent opportunity to acquire an accurate picture of what is on the market that can be found in a number of countries. Every year, the exhibit hosts over 80,000 guests who come from the all over to compare and admire the products on display, observe and explore technologies being offered and be able to come across new sets of suppliers. This five day show will enable clients to have a deeper understanding of the trends and development in the areas of architecture and design and will offer a wealth of knowledge in dealing with the market as well as in the identification of new opportunities. The organizers are committed to offer the exhibit’s visitors with a calendar of events that is packed and will feature renowned personalities from the field of international architecture, design and innovation. Companies from all over the world will once more be in awe and inspire the visitors with their unique and innovative designs. Most of these brands are readily available at PlumbTile. Be sure to check our website for up and coming companies to join us in the coming weeks! Be prepared to be fascinated and enthralled by the wide array of selection of products on display at this grand exhibit. Blanco has been synonymous to high-quality bathroom and kitchen fixtures and accessories since 1925. 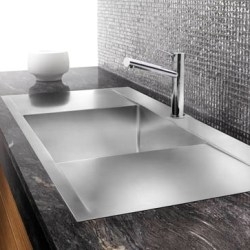 The company is known for exquisite caliber sinks, faucets and accessories for residential and commercial uses. 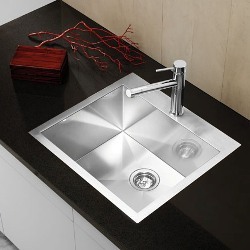 Boasting of over a hundred undermount and drop-in stainless steel kitchen, prep and bar sink models, as well as granite sinks, Blanco is one of the top manufacturers that have always been trusted by PlumbTile. We take pride in saying that we provide the most comprehensive collection of Blanco products on the web. Not only is PlumbTile honored to distribute products from a quality manufacturer such as Blanco, we also want to let our readers know that they were recently given the Red Dot design award for 5 of their latest sinks and faucets. The products, judged on innovation, functionality, ergonomics, and ecological compatibility, that emerged winners are the Blancomodex, Blancoandano, Blancoyovis-S, Blancovondo and Blancoculina-S.
Red Dot is a very prestigious award for excellent design. Out of 4,515 submissions, Blanco, along with other winning designs, was chosen by an international jury of 30 independent specialists.. If you want to find out more about Blanco or check if any of their Red Dot awarded designs are available, just click here and the staff will help you locate them. Cheers to the last blast of summer recreation! How’s everyone enjoying their holiday? Are you preparing for a cook out in the backyard, lounging at the pool, heading to the beach or the mountains, or are just relaxing at home? Whatever it is you’re doing right now, you deserve a break. Happy Labor Day to all our readers who worked so hard this past year! To celebrate the holiday, here’s a treat – The Great Labor Day Super Sale! 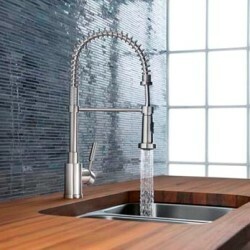 That’s right, go to www.plumbtile.com and look at all the contemporary and traditional kitchen and bath designs from the finest brands worldwide. Plumbtile provides bathroom & kitchen fixtures, designer hardware, tile & stone products that reflect elegance, luxury, quality & functionality. PlumbTile features the largest collection of premium brand names including Alno, Jado, Hansgrohe, Herbeau, Phylrich, California Faucets, KWC, Newport Brass, Toto, Ginger, Americh & Zuma Tubs, Hastings, Sugatsune, Classic Brass & more. 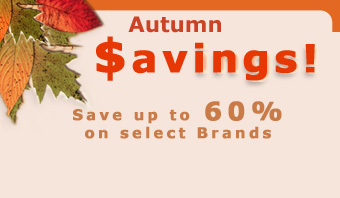 Up to 80% off many of these select brands. Be sure to chat with a sales consultant or call 1-866-369-8180. They’re always available to help. Celebrate the holiday with a new bathroom! Getting tired of people telling you what looks good? Tired of celebrity designers trying to influence how you decorate your house? If there is one place you want to take full control of design-wise, it is your bathroom. Don’t hold back; pick the accessories you want. You’ll be the one using it for years anyway, so why not customize it according to your needs and likes. The bathroom is your private sanctuary and at Plumbtile we want to celebrate your uniqueness as we show you how you can have it your own way. Not everyone is the same height but this is your bathroom, so the mirror must be at your viewpoint. 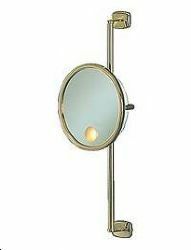 Get this wall-mounted French Reflections mirror, it is vertical and horizon adjustable. Whether you are taller or shorter than the average person, or just prefer a mirror you can adjust everyday, this is the perfect one for you. Again this is your bathroom, you can do whatever you want. A tricked-out shower? Why not? Plumbtile has thousands of shower systems and baths you can choose from. You have the right not to listen to know-it-all designers who will tell you- oh that tub is too big or the shower head is not right. Just call Plumbtile, tell them you want to do this or that and ask how it can be possible. The staff is always willing to help. Yuo can look at all the shower and fixtures that you can choose from, not to mention bathroom lighting brands to set the mood. And everything is to your own choosing. Check out the bathroom suites! So exquisite. You are certainly the king or queen, don’t let any designer tell you otherwise.